Ten years ago today, Stanley ‘Tookie’ Williams was executed by the state of California for the 1979 murder of four people. 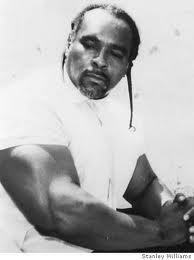 Williams was the founder of the notorious Crips gang, one of the largest and most violent of the many inner city gangs around the country that has caused so much death and chaos in many urban areas. Tookie Williams had been a bad boy and his actions have resulted in many ruined lives. But, said his defenders who opposed his execution, Tookie was a changed man. He had become kinder and gentler. He even wrote books for children warning of the dangers of gangs. Others disagreed, saying he had not changed. He never expressed any remorse over the four murders, and some believe he continued to direct gang activities even from prison. Also, they said, he never cooperated in any way with the authorities by giving information to help in curtailing criminal gang activity. Who is right? It would be difficult for anyone not directly involved to make a judgment on how much he had changed. But if a man like Tookie Williams really had changed, that would be of interest, especially to Christians. We believe in the power of God to change lives. After all, three of our biggest Bible heroes were involved in murder. Moses killed two Egyptians who were mistreating a slave. King David had an officer in his army killed after David committed adultery with the officer’s wife. And the Apostle Paul, before he was converted, stood by approvingly as a mob stoned to death Stephen, a leader in the early Church. But all three repented, all were forgiven, and all had their lives changed in dramatic ways. We believe in the possibility of such change, but we do not want to be naïve. Anyone who has ever worked in prison ministry knows that jailhouse conversions are often phoney. But many times they are authentic, and as Jesus once said, there is great joy in heaven whenever a lost lamb is found or a prodigal son returns home. As Christians we pray for and rejoice in changed lives. Sixty years ago there was another highly publicized change in a known criminal. 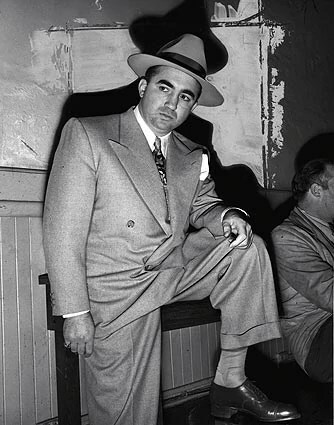 Mickey Cohen was a major player in the world of organized crime in the 1940’s and 50’s. He spent several years in prison, but other times moved about freely and became a celebrity. Cohen was a charming guy and loved being in the spotlight. Galatians 6:7-8 — Do not be deceived: God will not be mocked. A man reaps what he sows. Whoever sows to please their flesh, from the flesh will reap destruction; whoever sows to please the Spirit, from the Spirit will reap eternal life. Save me Lord, you who have the power to save us all. 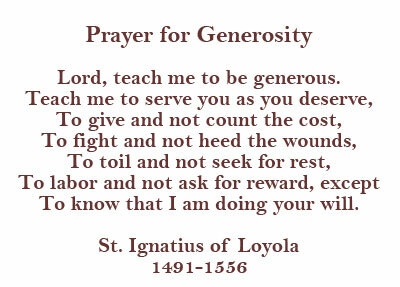 Grant that I may long for and do those things that are pleasing to you and profitable for me. Lord, give me comfort in my anxiety, help in time of trial, solace when persecuted, and strength against every temptation. Grant me pardon, Lord, for my past sins, corrections of my present ones, and protect me against those in the future. In Jesus name I pray. Amen. Joey and Lucas are five-year-old cousins. Not long ago they were together for a family picnic. Joey got there first and within five minutes was creating chaos, just like he always does wherever he go. He was running, jumping, hollering, tipping things over, reaching into the fruit bowl with his muddy hands to pick out all the grapes, plowing into great-grandma and almost knocked her to the ground, pulling the hair of the other kids, squirting everyone with his jumbo-size bazooka squirt gun, and finding endless ways to irritate everyone around him. All the while his mom and dad were yelling at him, telling him to stop, shaking their fingers at him, and making all kinds of empty threats. Joey was unmoved by anything they said, and his reign of terror went on all day. “Okay, Dad,” said Lucas, and he went back to playing with the other kids. From then on, Lucas behaved. Never again in the entire day did his dad have to discipline him. Obedience is a wonderful thing, isn’t it? But to be honest, we might have to clarify that by saying obedience is a wonderful thing when expected of other people. Within each of us there is a bit of Joey– a rebelliousness against obedience to the rules, and a desire for the freedom and independence to do whatever we want to do. A while back I read an interesting survey. I forget the details, but it went something like this. First question: Many wealthy people have been caught paying far less taxes than they really owe. Should there be closer scrutiny on these people in order to increase needed revenue? Yes, of course, most people said. Second question: Would you welcome closer scrutiny of your own tax returns? No, of course not, most people said. Obedience is a wonderful thing– for other people. Obedience, as you recall, is a big deal in the Bible. The words obey, disobey, obedience, disobedience, and other forms of those words appear hundreds of times in the Bible. The closely related words sin, sinners, and sinning, appear well over a thousand times. Obedience is what God demands of us, but disobedience is what God often gets from us. And it is this disobedience to God’s commandments that creates all kinds of trouble for us and for the whole world. It is our disobedience, our sin, that made it necessary for Jesus to die on the cross. And it is that forgiveness of our sins, bought and paid for on the cross, that we need most of all. Obedience is a big deal in the Bible. Joshua 22:5 — Be very careful to keep the commandment and the law that Moses the servant of the Lord gave you: to love the Lord your God, to walk in obedience to him, to keep his commands, to hold fast to him and to serve him with all your heart and with all your soul. Ephesians 5:3-6 — But among you there must not be even a hint of sexual immorality, or of any kind of impurity, or of greed, because these are improper for God’s holy people. Nor should there be obscenity, foolish talk or coarse joking, which are out of place, but rather thanksgiving. For of this you can be sure: No immoral, impure or greedy person—such a person is an idolater— has any inheritance in the kingdom of Christ and of God. Let no one deceive you with empty words, for because of such things God’s wrath comes on those who are disobedient. Open our hearts, O Lord, and enlighten our minds by the grace of your Holy Spirit, that we may seek what is well-pleasing to your will; and so order our doings after your commandments, that we may be found fit to enter into your everlasting joy, through Jesus Christ our Lord. Amen. (…continued) One of the keys to this is in our understanding of faith. Here too there is a tension in how the Bible defines and presents faith. 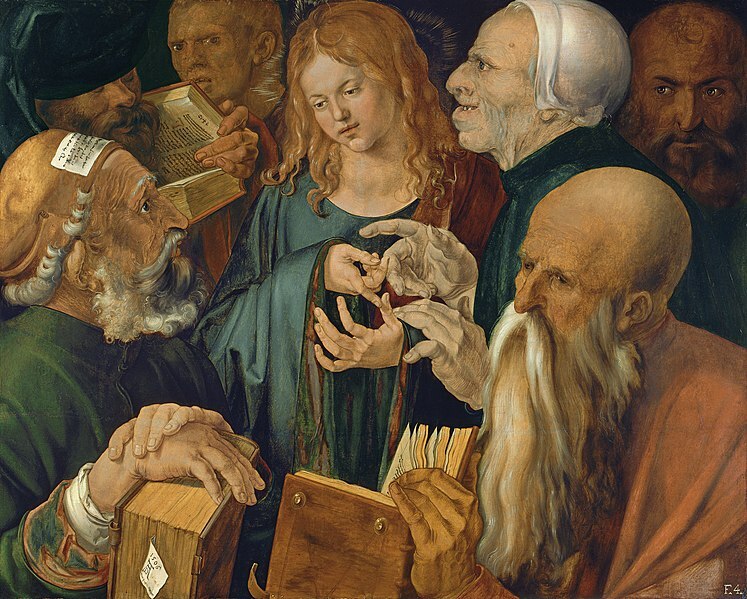 Is faith itself something we do, or, is it a gift of God? We can find Bible passages that seem to describe it both ways. Ephesians 2:8 says that even faith is God’s gift, and not “from yourselves.” Luther included this truth in his catechism explanation to the third article of the Apostle’s creed when he wrote, “I believe I cannot by my own reason or strength believe in my Lord Jesus Christ or come to him, but the Holy Spirit has called me by the Gospel.” But in many other places, including many of Jesus’ own words, we are commanded to have faith, and to be faithful, implying that faith is something that we do. Ephesians 2:8 says that faith is “the gift of God.” But a gift can be rejected. 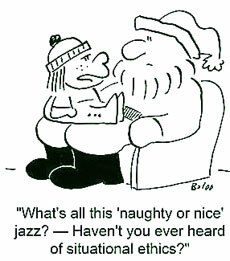 A gift can be ignored. A gift can be left on the table and not even picked up. So even though faith is a freely given gift, we still have to be faithful. And this brings us back to what James is saying in his little book. He says faith without works is dead. Another way we might say that is to say that faith without works WILL DIE. The faith is freely given. Salvation is ours “without any merit or worthiness on our part,” as the catechism says. But if one repeatedly refuses to pay any attention to God, carelessly disobeying God without any regret or any confession or even any thought of God; if one insists on turning away from God; then the gift is rejected and faith will die. The Bible does not spell out exactly how and when that happens. In fact Jesus says that on the last day there will be many surprises among the saved and the unsaved. The Bible doesn’t give the specifics. But the Bible is constantly going back and forth between the promises and the warnings. The promises are wonderful: the love of God, the forgiveness of sins, and life everlasting– all freely given. Salvation is all by God’s grace, so we can have complete assurance. We can know without a doubt where we stand with God. But at the same time, the Bible issues warning after warning, and command after command: don’t turn away, don’t disobey, believe, have faith, and stand fast. It is not that God will reject and turn away from us, but by continued disobedience and unbelief, we may, in time, turn our backs on God. God has given us the awful freedom to be able to do that. I Corinthians 16:13 — Be on your guard; stand firm in the faith; be courageous; be strong. James 5:8 — Be patient and stand firm, because the Lord’s coming is near. I Peter 5:8-10 — Be alert and of sober mind. Your enemy the devil prowls around like a roaring lion looking for someone to devour. Resist him, standing firm in the faith, because you know that the family of believers throughout the world is undergoing the same kind of sufferings. through Jesus Christ our Lord, who lives and reigns with You and the Holy Spirit, one God, now and for ever. Amen. The New Testament book of James has been a source of controversy ever since it was written almost 20 centuries ago. Martin Luther, for example, did not like it at all. When he published his first German translation of the Bible, James was not in its usual place right after the book of Hebrews. Rather, Luther put it at the end, along with a couple other books he wasn’t too wild about. In later editions he changed his mind and included all the books in their usual order, but Luther never grew very fond of James. He called it a ‘straw Gospel,’ criticizing it for hardly ever mentioning Jesus. The name of Jesus appears only twice in five chapters. But what is the alternative? Shall we say that it doesn’t matter what we do? Is that Christianity? Someone once said to me after a sermon on God’s grace, “You preachers make it all sound too easy; it can’t be like that.” James would say the same. There has always been this tension in Christianity between faith and works, because the tension is in the pages of the Bible itself. In terms of strict logic, this may look a contradiction; but we are not here dealing with logic, we are dealing with a relationship. And when one looks at this in the context of a relationship, this is no more a contradiction than it is for a mother to know in her heart that she will love her children forever no matter what, while at the same time be saying to them, “You better do what I tell you to do, or else!” Or else what? Well, of course there might be consequences, but total abandonment and rejection of the child forever is usually not one of them. In the same way, in God’s infinite wisdom and providence, there may well be consequences for our disobedience, as God seeks to bring us back to faith and obedience. But we can talk about that without saying that our salvation is dependent on our obedience; just as we do not say a child earns his or her place in the family home by their obedience, good will, or completion of daily chores. The Bible tells us these two different things at the very same time. It says, “You are saved by grace– it is all God’s doing and none of your own.” And at the same time the Bible says, “Everything you do matters.” Martin Luther did not like how the book of James talked about faith and works. But when Luther preached about the Christian life, he could sound very much like James, emphasizing the importance of an active and obedient faith that does indeed work. Luther would do both, sometimes proclaiming God’s grace, and other times proclaiming what we MUST do in obedient response to that grace. Ephesians 2:8-9 — For by grace you have been saved through faith, and this is not your own doing; it is the gift of God— not the result of works, so that no one may boast. Romans 6:23 — For the wages of sin is death, but the free gift of God is eternal life in Christ Jesus our Lord. James 2:14 — What good is it, my brothers and sisters, if someone claims to have faith but has no deeds? Can such faith save them? 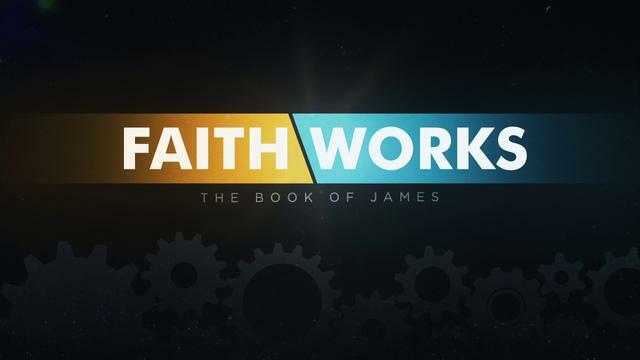 James 2:17 — Faith by itself, if it has no works, is dead. James 2:26 — For just as the body without the spirit is dead, so faith without works is also dead. Dr. Kent Keith published The Paradoxical Commandments as part of a book he wrote for student leaders in 1968 when he was an undergraduate at Harvard. These maxims for finding meaning in the face of adversity took on a life of their own, making their way into countless speeches, advice columns, books, institutions, and homes around the world, oftentimes in altered versions. 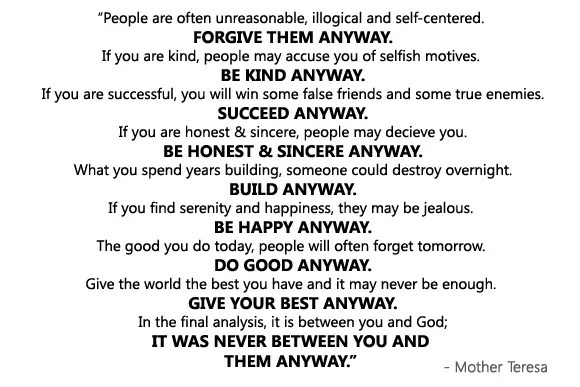 One of those versions was seen on a plaque on the wall in Mother Teresa’s children’s home in Calcutta, India. The words were reprinted in a 1995 book about Mother Teresa titled A Simple Path, and for that reason, most people believe she is the author. An altered version of that already altered version is the one that has become most famous. It is reprinted below as The Final Analysis. 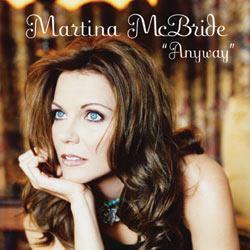 In 2006 Martina McBride recorded a song based on the words on the wall at Mother Teresa’s children home. She wrote “Anyway” with Brad Warren and Brett Warren, and it made it to #5 on the Country Western charts. Deuteronomy 10:12 — What does the Lord your God ask of you but to fear the Lord your God, to walk in obedience to him, to love him, to serve the Lord your God with all your heart and with all your soul? Leviticus 19:18b — Love your neighbor as yourself. I am the Lord. II Corinthians 8:21 — For we are taking pains to do what is right, not only in the eyes of the Lord but also in the eyes of man. Colossians 3:23 — Whatever you do, do it heartily, as to the Lord and not to men. All we can do is go on what we have in the text. Despite the apparent conflict with his parents, what we have here is Jesus not being sinfully disobedient, but rather, Jesus being obedient to a higher authority. The Bible says that Jesus was tempted in every way just as we are, but that he was without sin, so Jesus was not here breaking the fourth commandment by not honoring his parents. Rather, he was beginning the more important work for which he was born. Mary had some sense of this, because at the end of this story it does not say that she grounded Jesus for three weeks for his disobedience, but rather that she “pondered all these things and treasured them in her heart;” the same thing she did after the visit of the shepherds on the night of Jesus birth. Actually, this story illustrates an important ethical principal. Jesus was sinless. We are told that in the book of Hebrews, and in the very last verse of this story we are told that Jesus returned to Nazareth with his parents and that he was obedient to them. Jesus did obey the fourth commandment and did honor his parents. But in this story he had to obey the Heavenly Father, and obedience to God over-rules obedience to parents every time. In one of my college classes many years ago the teacher was going on and on about how there are no moral absolutes. For example, lying cannot always be wrong, because what if you were in Germany in WW II and the Nazis came to your house looking for Jews who they would most certainly kill. Would you then be obligated to tell them the truth about the Jews hiding in your basement? No, of course not, he argued, and so therefore it is not always wrong to lie and there are no moral absolutes. Back then this was called ‘situation ethics,’ meaning that right and wrong depended not on some overall divine moral law, but on each situation. Well, for someone who is already of a noble and upright moral character that might work. But for many people, especially college students, it can easily mean that in whatever situation I am in, I am free to do whatever I want to do. How convenient! It is far better to maintain that there are moral absolutes: that lying is always wrong, and killing is always wrong, and stealing is always wrong, and so forth. But then, with that firmly in mind, it must be added that sometimes in this wicked world moral absolutes will conflict with each other, and then one moral absolute must over-rule the other. Sometimes this is easy to figure out and sometimes it isn’t. The case of the Nazis at the door is an easy one. You lie to them to prevent them from unjustly killing an innocent human. The intent of the fifth commandment is to protect life, and if you have to tell a lie to protect a life, of course you will do that. In some cases, you might even have to take one life to protect another life, and this can get very complicated. But one must begin by affirming the moral absolutes, not disregarding them. This little story from the childhood of Jesus does just that. Jesus is sinless, and he is an obedient son to his earthly parents. But here he is obeying a higher authority. In some ways, this story reminds me of a few confirmation students I have had over the years, teenagers who had to go against their parents wishes to come to church and Sunday School and confirmation. You don’t see that very often, but when you do, it is an illustration of this principle in action. Jesus’ parents were not keeping him away from God, but it is clear in the story that Mary and Joseph had a different understanding from Jesus’ own understanding of what it would mean for Jesus to obey God. Here, as in other places, Jesus would set aside the lower authority to obey the higher. Later on in his ministry, Jesus got in trouble with the religious authorities by healing a lame man, because Jesus broke the law about doing no work on the Sabbath Day. In one of the prayers that follow Holy Communion in the Lutheran liturgy we pray: “Almighty God, you gave you Son both as a sacrifice for sin and as a model of the godly life;” and then adds, “enable us to conform our lives to his.” Here in this story, at 12 years old, Jesus is already providing such a model, teaching us to live, as he was teaching the teachers and elders in the temple. May we have the wisdom to do as the prayer says and conform our lives to his in this, and every way. Hebrews 4:14-15 — Therefore, since we have a great high priest who has ascended into heaven, Jesus the Son of God, let us hold firmly to the faith we profess. For we do not have a high priest who is unable to empathize with our weaknesses, but we have one who has been tempted in every way, just as we are—yet he did not sin. Almighty God, you gave your Son both as a sacrifice for sin and a model of the godly life. Enable us to receive him always with thanksgiving, and to conform our lives to his; through the same Jesus Christ our Lord. Amen. “Why were you searching for me?” he asked. “Didn’t you know I had to be in my Father’s house?” But they did not understand what he was saying to them. Then he went down to Nazareth with them and was obedient to them. But his mother treasured all these things in her heart. In 2008 the Dr. Seuss book Horton Hears a Who was made into a movie. Along with the wonderful animation and great humor, the movie contains several positive lessons about life; lessons about doing the right thing, about courage in the face of adversity, about having the strength to persevere, and about helping your neighbor, no matter how small and insignificant they might be. But along with all those positive messages, there is one scene that did not give a very positive message. At the very end a little child saves the day, and he does so by saying a very loud and firm “NO” to his domineering, overbearing, and very wrong mother. This mother was a problem in the story, because she was always opposing her son Horton the hero who had heard the Who. The little child was obviously right, and did save the day by saying ‘no’ to his mother. But that did make me wonder what kind of message that sent to the little viewers for whom the movie was made. It was probably not intended to send the wrong message. After all, the rest of the movie was filled with such positive lessons. But that loud NO by one so small, to that very key figure of authority in a child’s life, was a bit troublesome, at least for me. But perhaps my wife is right when she tells me that I read way too much into every movie I see, and I should just lighten up and enjoy the story. The story of the boy Jesus in the temple contains a bit of conflict between Jesus and his parents. As I was preparing to preach on this text, I was reminded of the disobedience of Horton in Horton Hears a Who. I remember even as a child wondering about the behavior of Jesus in this text. This is the only story we have about Jesus from the time of his birth to time of his ministry, and it contains this apparent disobedience of Jesus. What are we to make of that, especially in light of the Biblical teaching that Jesus was sinless? Aren’t children supposed to obey their parents? Does this story, like Horton Hears a Who, send the wrong message? First, we might wonder how Mary and Joseph could have left town without checking to see if Jesus was with them. Verse 44 simply says they thought he was with the rest of the group. We might think that is assuming a bit too much about a mere twelve year old, but we must consider the fact that age twelve then was probably like age seventeen now. Today’s seventeen year old is on the verge of adulthood. Graduation from high school is just around the corner, and then it is off to work or college, and either way, it will mean far greater independence. In ancient Israel, there was no public education, and so no high school graduation to mark the beginning of adulthood. You were just a little boy at home, until you were old enough to go to work for someone as an apprentice. That could very well mean leaving home, which was often done by age 13. Girls stayed home little longer, but even they were often engaged to be married by their middle teens. Jesus’ father was a carpenter, and perhaps an independent businessman, and so Jesus may have already been working as Joseph’s apprentice. At age twelve you were on the verge of adulthood, so it is not unreasonable for Mary and Joseph to just assume Jesus was taking care of himself and getting along in the caravan. Only after a day of travel did they realize Jesus wasn’t with them, and they became afraid something may have happened to him. So they hurried back to Jerusalem to look for their son. O God, you command us to honor our fathers and mothers. May we so fear and love you that we do not despise or anger our parents and others in authority, but respect, obey, love, and serve them, through Jesus Christ, your Son, our Lord. Amen. Ah, the life of a teacher. It smacks of my mother’s return to teaching after 25 years “off” to raise her own children. After finishing a grueling master’s program, my mom got a coveted position as a fifth-grade teacher at a new charter school. The summer before she started, she scoured garage sales and thrift stores for beanbags and books to fill her reading corner. She put art on the walls and decorated her room with the passion of one who loves learning and can’t wait to instill this love in her students. In reading through my student’s files, I see the hopes and dreams of parents who are sending their kids to our school with grandiose expectations that we will instill a love of learning and set ablaze the fire of curiosity in their children. But I tell you, no matter how hard I try, no matter how many resources I have, without obedience none of that can happen. I can teach an ADHD, dyslexic, dysgraphic child with severe anxiety issues the world; but I cannot teach a doggone thing to a high-functioning, intellectually bright, whippersnapper of a kid who won’t obey. All that to say, dear parent, I can babysit and keep your child warm and alive until 3:15 every day, but it’s not my job to teach obedience: It’s yours. For the sake of their education, teach that so I can teach them. In a 2014 Pew Research survey of parents with at least one child under 18 living in their household, only 12% checked obedience as one of the three most important characteristics to teach their children. Granted, there may be three things even more important than obedience, but only 62% checked obedience as ‘especially’ important (no limit on the number of characteristics that could be checked as ‘especially important’); and 38% did not consider teaching obedience important enough to check at all. Proverbs 5:22-23 — The evil deeds of the wicked ensnare them; the cords of their sins hold them fast. For lack of discipline they will die, led astray by their own great folly. Proverbs 10:17 — Whoever heeds discipline shows the way to life, but whoever ignores correction leads others astray. Proverbs 19:18 — Discipline your children, for in that there is hope; do not be a willing party to their death. I Timothy 3:4 — He must manage his own family well and see that his children obey him, and he must do so in a manner worthy of full respect.